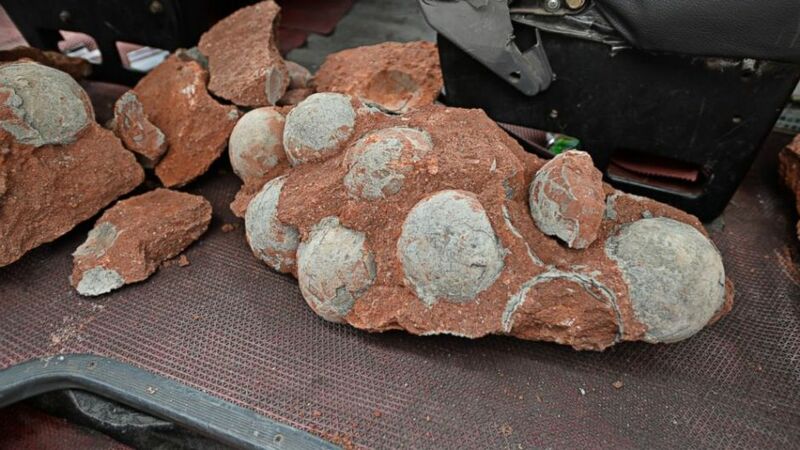 The website Chinanews.com has reported that forty three fossilized dinosaur eggs were found in the Heyuan city in Guangdong province of South China. The eggs were found by the construction workers during road repair work. Heyuan has discovered dinosaur bones, footprints and eggs in its region. The city calls itself the “Home of Dinosaurs”, and has also won a Guinness World Record for the world’s largest collection of dinosaur eggs at its museum in 2004. These 43 eggs are now added as a new batch to its impressive collection. It is likely that the eggs will be somewhere between 65 and 230 million-years-old, dating back to the Mesozoic Era when tyrannosaurus rex and co roamed the Earth. It is the first time the fossils have been discovered in the bustling center of the city, said Zhiqing, deputy director of the Heyuan Museum. The experts and researchers at the Chinese Academy of Sciences will continue their examination of the eggs to find the species of dinosaurs they belong to. The fossils were first found in 1996 by children playing at a construction site on a river bank. 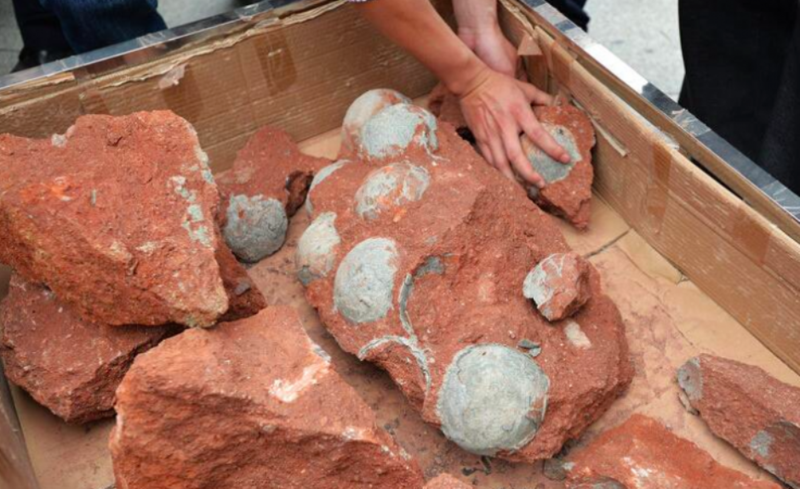 After that around 17,000 dinosaur eggs have been found in the city. The eggs found in the city date from the late Cretaceous period, 89-65 million years ago. Du said that it was possible that many other dinosaur remains would be found in sandstone beds around the city and that construction projects should be halted if fossils were found. The residents are requested to report to the authorities in case they find anything related to dinosaurs. In 2004 a farmer in Heyuan was caught by the police. The farmer had found 557 fossilized eggs at his home and he did not report it to the authorities.